An all-purpose boot, the Comfort Rider features a waterproof and grippy rubber sole and foot, paired with a comfortable and soft neoprene boot shaft, with a drawstring top for a snug fit if desired. Attractive, durable boots! My daughter loves them! 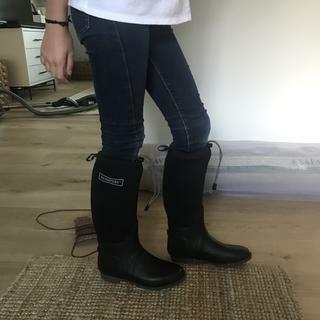 New winter riding boots for the 11-year old cowgirl! Is this a boot for women? BEST ANSWER: Yes, these are womens boots.